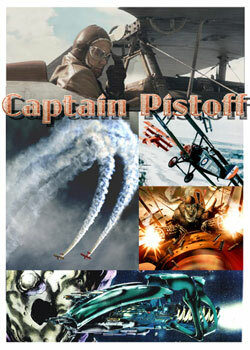 CAPTAIN PISTOFF- Star Wars meets Close Encounters meets Top Gun. 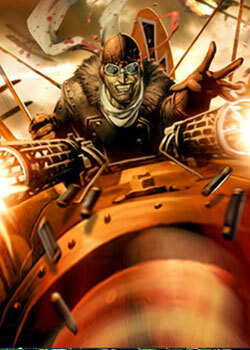 A Russian-American World War I pilot is kidnapped by aliens to pilot their spacecraft. ’Cause Earthmen have the quality of instantaneous adaptability. Now Jake Pistoff is coming home on leave... But in Einstein’s space-time he’s 4 years older... in our time, 80 years have gone by... and inadvertently he’s brought trouble back with him.